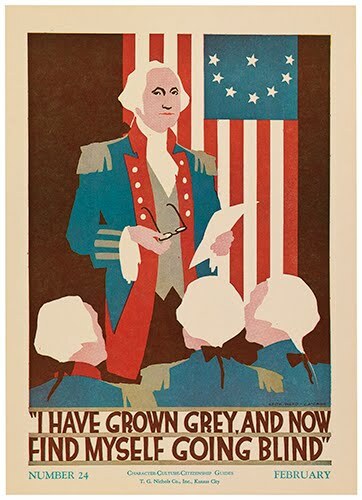 Character-Culture-Citizenship Guides 24 - "I have grown grey, and now find myself going blind"
This seems like an odd Washington quote to use for a poster. First off, it's a misquote. The actual quote is, "Gentleman, you must pardon me. I have grown gray in your service and now find myself growing blind." Secondly, out of context, it doesn't really have any meaning. March 13, Washington addresses mutinous Continental officers at Newburgh, New York. Their pay long in arrears, the officers fear that their pensions will also be unpaid. In December 1782, representative officers from each state's Continental line had sent a petition to Congress insisting on immediate payment and suggesting the substitution of lump sums for pensions. The officers, most of whom are at the army's headquarters at Newburgh, learn that Congress has rejected the petition. Washington calls a meeting of representative officers and staff and delivers a speech and reads an extract from Congress. 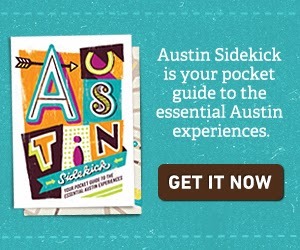 Referring to the glasses he must wear to read the extract, he says, "Gentleman, you must pardon me. I have grown gray in your service and now find myself growing blind." Washington's gesture defuses the crisis. After he retires from the scene the officers adopt resolutions affirming their loyalty to Congress. March 18, Washington writes Congress an account of the proceedings of the previous days and argues on behalf of the officers' grievances. Essentially, Washington quelled a mutiny over payment and pensions by showing his humility, loyalty and years of service to ones country. I'm guessing the lesson plan for this poster was about humility, or possibly service and loyalty. Either way, it's a long road to get there from this quote.